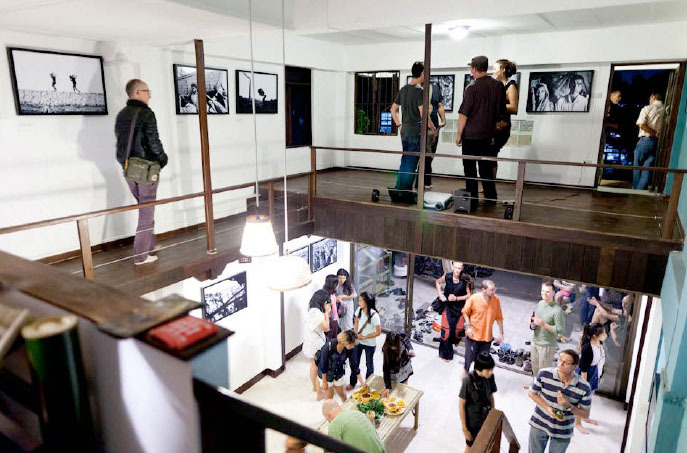 The Documentary Arts Asia Center Chiang Mai officially opened its doors on Saturday night with the start of Greg Constantine’s exhibition Exiled to Nowhere ? Burma’s Rohingya. The night was a huge success and it was great to see so many people turn out and show their support for the organization. A special thanks to Honorary Members John Hulme and Manit Sriwanichpoom for being there and sharing some of their amazing work with us. It was a massive validation of all the hard work that has gone into the organization and the center to see so many people using the space and engaging with the work on show in our gallery, the resources available in our library and the films shown in our theater. So now it is onwards and upwards for Documentary Arts Asia. Greg’s exhibition will run until the end of February, and just before it comes down we will be hosting the first Chiang Mai Documentary Arts Festival (www.cdaf.asia) where we’re very honoured to be showing work by the likes of Ami Vitale and Veejay Villafranca amongst many others. As well as our own Documentary Arts Festival, Chiang Mai has the great pleasure of hosting this year’s Foundry Photojournalism Workshop and DAA will be acting as primary local partner during its time here as well as assisting with preparations beforehand and support throughout their stay. Our first Artist in Residence, Sitthixay Ditthavong, has arrived and will begin work on his three-month residency, our program of workshops has started and our library and theater are now open. The new DAA website (www.documentary-arts-asia.org) is online and has full information on all of our activities and access to the first in our series of podcasts, as well as all the information required to benefit from our scholarship and grants programs. And not forgetting our Satellite Center in Laiza, northern Burma, which continues to provide essential training and support for documentary work in the region. For updates on all of our activities please visit the website and sign up for our mailing list or, better still, support our work by becoming a member. Finally we would like to thank Sulak Sivaraksa and the Sathirakoses-Nagapradeepa Foundation for all of their support and belief in what we are doing. The Sathirakoses-Nagapradeepa Foundation continues to be one of the most respected and active foundations native to Southeast Asia and by acting as our parent foundation allows us the freedom to make the greatest impact possible through our broad range of programs. Their support also allows us to receive tax-deductable charitable donations in Thailand. For information on supporting our work through charitable donations please email to director@documentary-arts-asia.org. Many thanks from everyone at DAA for your continued support. 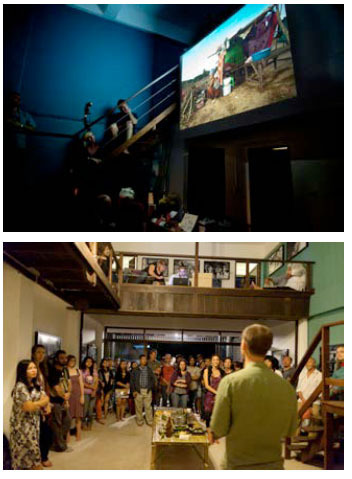 Documentary Arts Asia 12/7 Wualai Road Soi 3, Haiya, Muang, Chiang Mai, Thailand 50100.